Today, it was officially announced that British artist Banksy has constructed a dystopian riff on Disneyland in a derelict seaside resort in Weston-super-Mare, England. 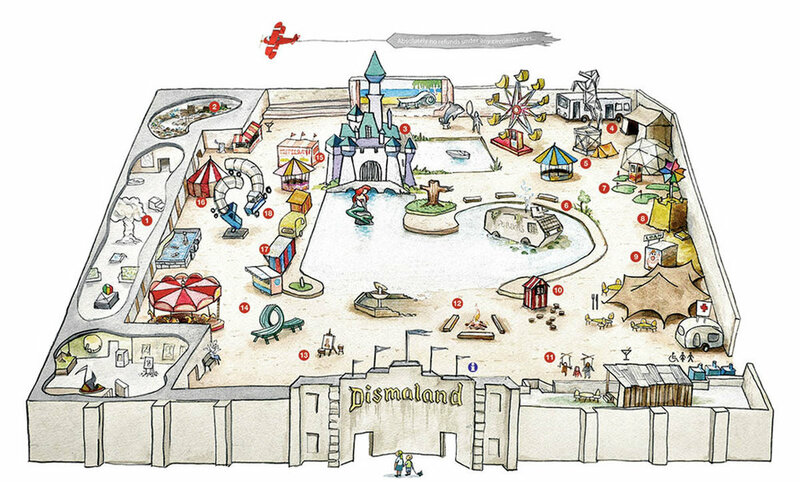 Called Dismaland, the ambitious five-week project is sure to attract visitors eager for the artist’s brand of viral culture jamming and populist humor, but there’s a twist. Most of the art on display at Dismaland is not by Banksy — though he has contributed 10 new works — but by 58 artists invited to participate, including blue-chip names Damien Hirst, Jenny Holzer, and David Shrigley, and popular artists associated with street art like Espo, Escif, Bäst, and El Teneen. The scale of the project is impressive.